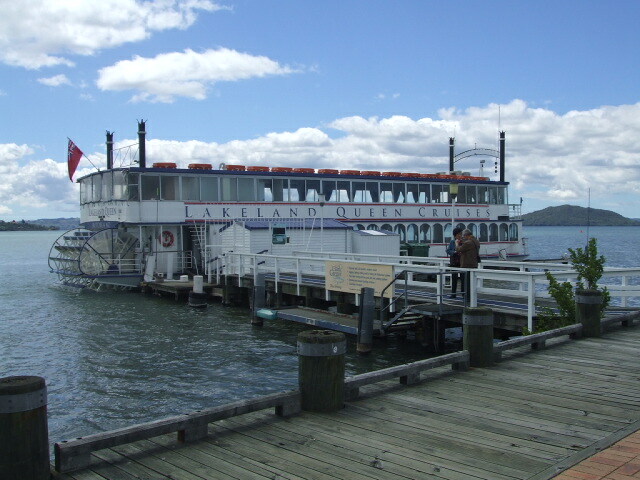 Cruise Excursions to Rotorua are a popular choice for passengers stopping in at the Port of Tauranga. Given that, it's no surprise the amount of tour businesses catering to this market. How to choose. Don't you hate that kind of dilemma? Sigh! I feel you. To help out somewhat, I've taken a good look at most of the Rotorua cruise ship tours and four companies stood out. That will save you some overloaded brain cells. And, you're welcome. The tours have small numbers, are reasonably priced and, best of all? 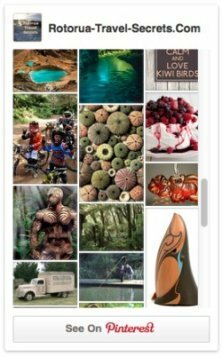 You will have professional driver/guides who know how to treat people well, are great at sharing their passion for our area and culture and, you get to see the best version of ourselves as New Zealanders. What's more, for the free spirit, the lone wolf, the individualist - you don't miss out on cruise excursions either. A hop on, hop off bus service can accommodate you. And the driver gives an ad hoc commentary anyway so it's a kind of a tour. Let's begin with that. When you want to do your own thing yet still want to visit Rotorua, hop-on hop-off is perfect, and it only costs NZ$99.00. Port pick up and drop off is included. Pick-up time is 9:30am and the duration of the tour is 7hrs depending on the timings of the cruise ships. Don't worry, your driver has plenty of experience with getting cruisers back in time. 5 drop off points take in 12 of our main attractions and... you get discounted entries too. Your bus will circulate the points four times throughout the day. This isn't the half of it because you can be dropped off for white water rafting or zip lining with Canopy Tours too. Phew! What are you going to squeeze in? Decisions, decisions. This option is not well suited to persons unable to use stairs - climbing on and off a bus. You decide - We guide is the motto of Elite Adventures. The thing is, how do you decide when there are so many activities that should be on a 'must do' list for Rotorua. No need to worry because these guys, Trent Neilson and team, are Rotorua locals. Taking into account your preferences, Trent will advise you accordingly. Think - customised. Elite Adventures are experts when it comes to Rotorua and our geothermal parks if that is where your focus lies. Learn about the geology, flora and fauna, and much more besides. Regularly using Elite Adventures as part of their Rotorua tour series, Australian Pacific Touring (APT) voted Elite Adventures as "best tour operator of the year". I still tingle at the memory-one of the highlights of my trip to new Zealand (and not an expected one and not part of the tour plan-an extra that was priceless. … our guide was very friendly and a wealth of knowledge. He really turned a good trip into a wonderful experience. In 17 days and many excursions, many were fantastic but he was the best! 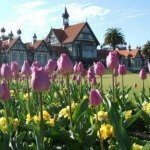 NZ$750 for 1-5 Adults or 2 Adults and 3 children. Can take up to 10 but a charge of NZ$50 applies to additional passengers. Entrance fees for the attractions is additional to your tour price. Elite Adventures is Qualmark endorsed for Visitor Activity. As well, TripAdvisor has awarded this company with a Certificate of Excellence (for consistently earning great reviews). Excited? What are you waiting for, contact Trent with any questons or make a booking at Elite Adventures. Jim Archer heads up Archer Tours and his testimonials speak volumes about the type of service he provides and the type of person he is, eg. …we had such a great time due in no small way to you, Jim. 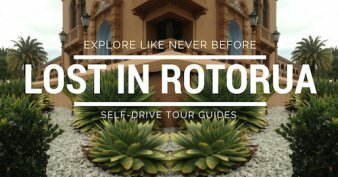 … He has the ideal mix of friendliness, knowledge, history, and connections that will make any tour you take with him one to remember. You have made our New Zealand experience such fun. Have you considered 'stand up comedy' as a third career? I don't know why it is but māori people seem to have a natural affinity with humour. And that's the way it is with Jim. Guess you're in for a fun time. 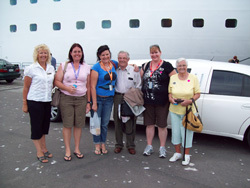 Jim offers 7hr cruise excursions to Rotorua at a cost of NZ$170 per person with pick up and drop off at your ship. Spacious, modern, air-conditioned vans are used with a maximum of 8 passengers. You will be shown the best of māori culture along with our world famous geothermal activity - including the smell. By the way, the entrance fee into Te Puia is included in your price, (this is a premier NZ tourist attraction). 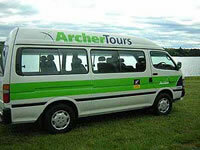 Archer Tours is a Tourism New Zealand member and Qualmark endorsed which is a great vote of confidence. See more at Archer Tours. On behalf of Make-A-Wish NZ I would like to thank you sincerely for your assistance with Jayden's wish. The one huge highlight for Jayden was being picked up from home and the airport by one of your limos… The limo rides have also added to the wonderful memories the family have from Jayden's special trip. 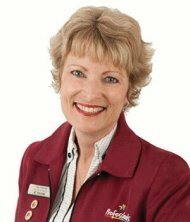 Anne is a wonderful, caring lady, easy to get along with and the type of person who would help anyone. You're in safe hands with her. For cruise ships, tour options range in price from NZ $100 - $190 per person (includes entry to some attractions). Vehicles used are mini-vans (max. 11 passengers). You can also enquire about using the stretch limousines or a private tour in an Executive Sedan. Just imagine swanning around in a Limousine, how cool is that? Unless that's your normal - said dryly with an eyebrow arched your way. Exquizit Limousines is endorsed by Qualmark for Visitor Transport and Visitor Activity. PS. You get complimentary bottled PURE NZ water and sunscreen. See more about cruise shore excursions or enquire at Xquizit Limousines. Tauranga Tasting Tours & Charters were finalists in the People's Choice Awards, 2010, which is determined by the number of positive reviews. Owned by Tauranga locals Paul and Lyn Marston this is another small family operation. Paul is one of the drivers along with Sue, an ex Language School Principal. Lyn, who doesn't drive, speaks French and accompanies the tours if they require an interpreter. Handy huh? They also get in other trusted drivers when needed. 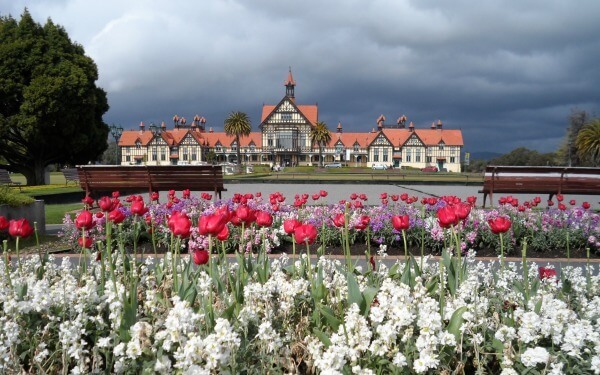 "We got excellent service and enjoyed the tour of the volcanic geyser, boiling mud pools, Maori show, lunch by the lake in Rotorua, Kiwi 360 and saw Tauranga. Not bad for 6 hours !!!" 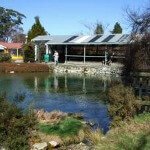 "…his knowledge and friendliness were fantastic and he took us to heaps of attractions and we could plan the day or go where Paul recommended which was what we did." "We had pre-booked a tour with Tauranga Tasting Tours & Charters before our trip to New Zealand. I really appreciated how easy it was to communicate with them - they always responded promptly to e-mails." The cruise excursions to Rotorua begin with travel along the gorgeous waterfront of Mt Maunganui before heading inland to Te Puke, the Kiwifruit capital. You get to taste Kiwifruit wine there, yum. Okere Falls is the next stop with a short walk into the bush to get to the falls themselves. This is one of the major white water rafting falls in the Rotorua area. Then it's off to our Museum in the Government Gardens followed by the māori cultural centre at Te Puia, then… lunchtime. Phew, you'll need it after all that. Lunch is at a cafe in a lovely spot overlooking Lake Rotorua and Mokoia Island (My one gripe? Aside from the view, this place is over-rated and over-priced - if it was me, I'd be asking to be dropped at Eat Streat where a great selection of restaurants and cafes can be found. Buy something to take away even and stroll back to the Lakefront to eat it). I hope they don't kill me for saying that. Once lunch is over it's about time to wend your way back to the ship. Tauranga Tasting Tours may reverse the order of their cruise excursions because of booking times at Te Puia. Also, if you prefer to visit other venues it can be arranged with the driver. A Mercedes for passengers who prefer privacy. NB: Entry fees to Te Puia or the lunch cost is not included. Tauranga Tasting Tours & Charters has Qualmark Endorsements for Visitor Activity, Visitor Transport & Visitor Service. Fantastic!